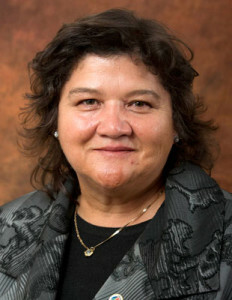 Public Enterprises Minister Lynne Brown on Friday, 23 June 2017, reappointed four Eskom directors who, exactly a week ago, she said she wanted to get rid of. The four directors retained at Eskom’s annual general meeting on Friday are joined by four new nonexecutives and new acting CEO Johnny Dladla, and include chief financial officer Anoj Singh, who has become the latest Eskom boss to have his name crop up in the #GuptaLeaks scandal. Friday’s action follows an acrimonious meeting at the end of last month, when the board refused to let an interministerial committee that Brown is part of even see the alleged legal advice the Eskom board relied on when it reappointed Brian Molefe as CEO without asking for Brown’s approval. The whole board is now an “interim board” until Cabinet approves them next month, Brown said. This raises the possibility that some of the retained directors may yet lose their seats. Brown described the now nine-strong board as a “new dawn”, but has already made it clear that she has no faith in roughly half of the members. In a replying affidavit in the labour court case relating to Molefe’s mysterious resignation or early retirement, filed on 18 June, Brown said: “The only reason I have not dissolved the board is because it may have significant implications for guarantees issued by Eskom and, further, that an annual general meeting is to be held on 23 June, when I have to consider whether to reappoint the directors of the board for a further term. “It was the board’s conduct within the interministerial committee meeting on 31 May that, among other things, made me lose confidence in the board,” she said. This implied she intended to get rid of board members at the annual general meeting on Friday, but, after the resignation of board chair Ben Ngubane last week, it seems the rest of the board is safe for now. In her affidavit, Brown said that, by June 1, she, her staff and senior counsel had decided that the board’s behaviour regarding Molefe’s reappointment was “highly irregular”. The repeated excuse by Eskom that Molefe had not resigned but took early retirement was also seemingly authoritatively knocked down in Brown’s eyes. On 6 June, she received an email from the Companies and Intellectual Property Commission stating that it had received notice of Molefe’s resignation in November. Eskom then countered that this had been a “draft notice” that it had sent to the commission, which Brown said was “unsatisfactory”. Molefe’s case will be heard in the labour court at the end of the month. The previous acting CEO, Matshela Koko, is still on paid leave due to an investigation into Eskom contracts given to a company employing his stepdaughter. An investigation by law firm Cliffe Dekker Hofmeyr into the Koko affair has been given to the minister, but she said she was still studying it and waiting for the Eskom board to decide what action to take. If Koko was cleared and returns to work, he would return to his old job as head of generation, she said. It will, however, still be quite some time before Eskom has a permanent board. The job of CEO would be readvertised only after the Molefe case was finalised. “I want to give South Africa someone who wasn’t conflicted by having applied for the CEO position or been named in any way,” she said of Dladla, who is a veteran at the parastatal. “Eskom’s reputation has been severely compromised, but no allegations have been proven in court,” said Brown. The post New Eskom board reveal marred by more Gupta questions appeared first on EE Publishers.